Road Departure Mitigation System – If your MDX drifts over road markings and solid lane lines, the MDX’s monocular camera will put your vehicle back on those Aurora roads. Front & Rear Parking Sensors – Whether you’re backing out of crowded Peoria parking lots or parking in a Phoenix street, your MDX will beep the closer you approach an obstacle. AcuraLink – Rely on the AcuraLink app to contact Roadside Assistance, emergency services, and more. Once you’re ready to experience the MDX’s safety features for yourself and your family, contact us today to schedule a test drive. 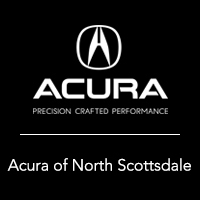 We’ve got plenty of new Acura MDX vehicles in stock with many color options and excellent financing and leasing options available. Visit us today to explore the MDX vs. RDX, the 2019 MDX vs. 2018 Audi Q7, or explore our used MDX inventory!